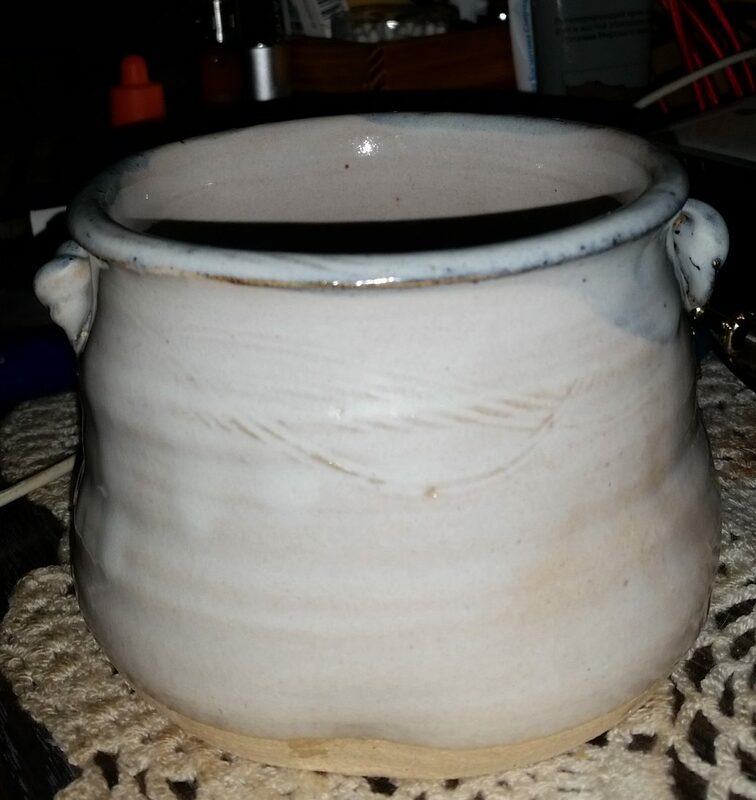 Some Japanese tea bowls change with time and use. They start out a little leaky and smelling very earthy, but with multiple uses get stronger. The microbes and minerals help also to strengthen the drinker, and may be one reason some Japanese people are so long lived. I dont know about that, but this bowl fits perfectly in my hand and was obviously made for some special clumsy person like me.